The MiltyPro Super Exstatic record cleaning brush is a highly effective system for cleaning grime and dust from inside the record groove. It is made up from carbon fibre filaments on the otuside with a soft velvet cleaning pad in between. Wind up gramaphone steel needles. Replacement styli (stylus, needle) for Acos GP91 Stereo/LP, GP91-1 Stereo/78, GP104 LP/78, GP104 Transcription, M-6 and M-7 cartridges. Replacement styli (stylus, needle) for ADC RK8, RL3, RL5, RLM, RPSX10, RPSX20, RPSX30, RPSX40, RSQ30, RSQ32, RSQ34, RSQ36, RSX5, XLM MkIII cartridges. Replacement styli (stylus, needle) including Aiwa AN2, AN5, AN7, AN10, AN11, AN30, AN36, AN50, AN60, AN70, AN77, AN4932, AN8743, AN8745 for cartridges as fitted to most Aiwa turntables and systems. Replacement styli (stylus, needle) for Akai APM70, APN2, APN5, RS3, RS10, RS33, RS35, RS38, RS50, RS50E, RS77, RS82, RS83, RS85, RS90, RS100 cartridges as fitted to most Akai system players and turntables. Replacement styli (stylus, needle) for AKG P6R, P6E, P7E, P8E cartridges. Replacement styli (stylus, needle) for Alba 4100, 4140, 5200, DL501, MC452, MS150, MA170, MS176CD, MS186, MS450, MS1680, MS4290, MS6380 CDM, MS5390 HCD, SST1820, SST1900, SST2000, SST2300, SST2400 systems and record players. Replacement styli (stylus, needle) for Amstrad CD1000, CD2000, MS45, MX200, TM77, TMS45, TS39, TS51, TS52, TS55, TS56, TS80, TS81, TS86, TS87, TS88, TS89, TS90, TS99 cartridges as fitted to most Amstrad players and systems. Replacement styli (stylus, needle) for cartridges as fitted to Ariston Forte, Icon, Q Deck, Q Line, RD40, RD50, RD60, RD90 record players, turntables and systems. Replacement styli (stylus, needle) for Audio Technica ATN12XE, ATN13, ATN51, ATN52, ATN53, ATN66-7, ATN70, ATN70L, ATN71, ATN91, ATN93, ATN95E, ATN101P, ATN101EP, ATN102EP, ATN103, ATN105, ATN110E, ATN115E, ATN120E, ATN130E, ATN132EP, ATN410E, ATN420E, ATN440ML, ATN312EP, ATN3250, ATN3400, ATN3401, ATN3410, ATN3451E, ATN3472, ATN3472P, ATN3472EP, ATN3482, ATN3482P, ATN3482EP, ATN3600, ATN3600C, ATN3600L, ATN3601, ATN3651, ATN3651E, ATN3711, ATN3711E, ATN3712E, ATN3831, ATS10, ATS10L, ATS11, ATS11E, ATS12E, VM3-5D, VM35-EL cartridges. Replacement styli (stylus, needle) Bang and Olufsen stylus inserts for SP1, SP2, SP6, SP7, SP8, SP9 cartridges and MMC-1, MMC-2E, MMC-3E, MMC-4E, MMC-5E, MMC20E moving iron cartridges fitted to Bang and Olufsen record players and systems. Replacement styli (stylus, needle) for cartridge fitted to Binatone Melody Mk 3 & Midi record player system. Replacement styli (stylus, needle) BSR ST3, ST8, ST10, ST12, ST14, ST15, ST18, ST17, ST18, ST19, ST20D, ST21D, ST22D, ST23, TC8, TC8G, TC8H, TC8M, TC8R, TC8S, TC8SM for BSR type cartridges as fitted to many older record players and systems. Replacement styli (stylus, needle) for cartridges as fitted to Bush Premier MS771, MS790, MT1, MTT1, MTT2 Midi systems and record players. Replacement styli (stylus, needle) Chuo Denki (CEC) CN112, CN225, CN234, MC17, MC20S for cartridges fitted to Chuo Denki record players and systems. Replacement styli (stylus, needle) for Coner RCS cartridges. 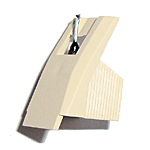 Replacement styli (stylus, needle) for cartridges fitted Crosley turntables and record player systems. Replacement styli (stylus, needle) for Crown 3002, AMXA1, AMXA2, AMXA5, X86, X90, CCS1000, CZ680-6B and Piezo Cartridges. Replacement styli (stylus, needle) for Dansette Bermuda, Conquest Auto, Debonair, Junior, Major, Popular, Prefix, Senator, Viva record players. Replacement styli (stylus, needle) Decca Deram for Decca record player. Replacement styli (stylus, needle) Columbia Denon DP200USB, DSN14, DSN17, DSN37, DSN60, DSN62, DSN65E for cartridges fitted to Columbia Denon record players, turntables and systems. Replacement styli (stylus, needle) - Derens 11068, 40750, 44790 record players. Replacement styli (stylus, needle) including DN105, DN140S, DN145E, DN145S, DN149E, DN149S, DN152E, DN155E, DN160E, DN163E, DN165E, DN166E, DN167E, DN168E, DN201, DN211, DN212, DN221, DN222, DN235, DN236, DN237, DN238, DN239, DN241, DN242, DN305, DN311, DN315, DN320, DN325, DN321, DN330, DN340, DN345E, DN350E, DN352E, DN353, DN360, DN362E for the majority of Dual record players and turntables fitted with cartridges DMS105, DMS200, DMS201, DMS210, DMS220, DMS235, DMS236, DMS237, DMS238, DMS239, DMS240, DMS245, DMS249, DMS301, DMS350, DMS380E, DMS410, DMS450, DMS750, TK143, TKS45E, TKS49S, TKS50E, TKS52E, TKS55E, TKS60E, TKS236, TKS237, TKS238, TKS670, ULM40S, ULM45E, ULM50E, ULM52E, ULM55E, ULM60, ULM65E, ULM66E, ULM67E, ULM68E. 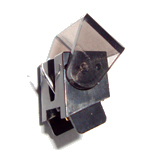 Replacement styli (stylus, needle) EV21, EV26 for Electro Voice cartridges as fitted to many older record players and systems. Replacement styli (stylus, needle) for Elite 300EEI, 400EEI, 500EEI, 700EEI and Sontra 500EN, 50XE4N cartridges. Replacement styli (stylus, needle) Empire S111S, S300ME, S333DE, S500PEX, S888TE, S888VE, S90EEX, S999SEX, S999TEX, S2000EI, S4000DI, S4000DII for Audio Empire cartridges. Replacement styli (stylus, needle) Excel S55SR, S65CR, S70SR, S300CR, N700CR for Excel cartridges. Replacement styli (stylus, needle) for Ferguson FTURN01, FTURN02 record players and turntables. Replacement styli (stylus, needle) for Fisher Styli see Sanyo Styli. Replacement styli (stylus, needle) Garrard CN105, CN246, GSS1, GCM21T, GCM23T, KS40AS for Garrard cartridges. Replacement styli (stylus, needle) for cartridges to Gemini TT01, TT01 Mk2, TT02, TT02 Mk2, TT03, TT04, TT1000, TT1000USB, TT2000, XL120, XL300, XL500 MkII turntables and record players. 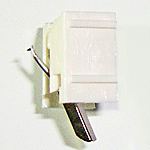 Replacement styli (stylus, needle) for cartridges as fitted to General Electric GE systems and record players. Replacement styli (stylus, needle) - Goldring D110, D120, D140SE, D140IGC, D145, D152E, D152/78, D06, D12GX, D22GX, D22GX, D42, GL2100, GL2200, GL2300, GL2400, GL2500 as fitted to Goldring G800, G820, G900IGC, G900SE, Elan, Elektra, 1006, 1010, 1012GX, 1020, 1020GX, 1040, 1042, 2100, 2200, 2300, 2400 & 2500 cartridges. Replacement styli (stylus, needle) for cartridges fitted Goodmans 3500, 5100, 5150, 5200, 5300, Delta 70P, Delta 700P, Delta 700PS, Delta 800P, Delta 801PFX7000, GMS60X, GMS80X, GMS150X, GSP308, GSP360, GSP400, GSP400S, GSP600, GSP630, GSP650, Maxim, MCD100, MCD200, Midi, MRP2001, MX2001 record players and systems. 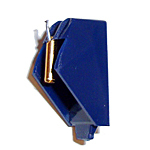 Replacement styli (stylus, needle) for cartridges fitted to GPO turntables and record player systems. Replacement styli (needles) for Grado Prestige Cartridge series Stylus Black, Green, Blue, Red, Silver, Gold, F1+, F2+, F3E, FCE+1, FTE+1, G+, G1+, G2+, GCE+1, GF1+, GF2+,GF3E+, GTE+1,M+, M1+, M2+, MCE+1, MF1+, MF2+, MF3E+, MTE+1, X+, X1+, X2+, XCE+1, XF1+, XF2+, XF3E+, XTE+1, Z+, Z2+, ZCE+1, ZF1+, ZF2+, ZF3E+, ZTE+1 - see stylus page link for compatability with earlier versions (Regret FTR, GTR, FCR, GCR, FTE, GTE, FCE & GCE no longer available). Replacement styli (stylus, needle) including Audio Technica AT102EP, AT3400, AT3472, Philips GP500 II cartridges fitted to Grundig CS100, CS200, CS200-4, CS205, CS210, CS300, CS315, CS400, CS500, CS700, PS1850, PS2000, PS4000, PS6000, RPC2000, RPC300, System 1850, System 1870, TSC350, TSC400 record players, turntables and systems. Replacement styli (stylus, needle) for cartridges fitted to Ion ICT04, IDJ03, IPT01, ITT03, ITT05, ITTcd10, ITTusb, ITTusb05, ITTusb10, LP2CD, LPDock, Ttusb, TTusb5, TTusb10 record players. 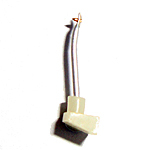 Replacement styli (stylus, needle) Jelco ND12E, ND14D, ND14E, ND45D for Jelco Cartridges. Replacement styli (stylus, needle) Victor Nivico JVC 4DT1X/5X, DT11, DT16, DT21, DT23, DT25H, DT26, DT27, DT30S, DT33, DT33HSE, DT34, DT36, DT38L, DT39E,DT41, DT45, DT50, DT57, DT64, DT55, DT55BII, DT59, DT60, DT62, DT65, DTX1, DTZ1S, DTZL1S for JVC cartridges as fitted to Victor Nivico JVC record player and systems. Replacement styli (stylus, needle) for cartridges fitted to Kenwood, Trio record players, turntables and systems grouped in 3 sub-sections according to Stylus Part Number, Cartridge Part Number and Record Player Model Number for easy identification. Replacement styli (stylus, needle) Lesa K3 cartridge. Replacement styli (stylus, needle) for cartridges as fitted to Limit Quartz DJ2500B, DJ2500SQ, DJ3500SE turntables and record players. Replacement styli (stylus, needle) Marantz CT5S, CT100, CT130, CT300, CTS493, CT500, G165, TT42, TT140, TT143, TT151, TT153, TT173, TT240, TT430, TT440, TT483, TT493, TT500, TT525, TT530, TT551, TT1000, TT5000 for cartridges fitted to Marantz record players, turntables and systems. Replacement styli (stylus, needle) - Matsui Midi 15, Midi 25, Midi 45, Midi 55, Midi 65, Midi 75, Midi 90, CDM 30, CDM 50, CDM707K and M303 systems and record players. Replacement styli (stylus, needle) for cartridges as fitted to Ministry of Sound CT01, TT1000 turntables. Replacement styli (stylus, needle) - for cartridges fitted to NAD 202, 533, 5020, 5020A, 5080, 5120, 9100, 9200, 9300, C552, C555 turntables.. Replacement styli (stylus, needle) including Nagaoka JN311, JN322E, JN511, N05MP, N320M, N501MP, N711. Replacement styli (stylus, needle) for Numark Groovetool, TT1510, TT1600, TT1600 MkII, TT1610, TT1650, TTUSB,TT250USB, DJ2500B cartridges. Replacement quality diamond elliptical styli (stylus, needle) Swiss manufactured substitutes suitable for Ortofon NF15E Mk II, NF15XE, VMS2E, 3E, 5E, 10E MkII, VMS20E MkII, Concorde 10, Concorde 20, LM5, LM10, LM20, OM5, OMB5, OMP5, OM5E (Project Debut II/III), OM10, OMP10, OM20, OMP20 cartridges. Replacement styli (stylus, needle) including Philips AG3016, AG3019, AG3063, AG3306, AG3310, AG3404, F1395, F1650, F1652, GP91-1, GP204, GP212, GP214, GP215, GP250, GP330, GP331, GP371, GP400 GP401, GP412, GP420, GP780 for cartridges as fitted to most Philips record players, turntables and systems. 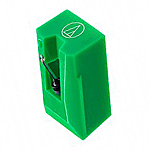 Replacement styli (stylus, needle) - for Pickering D TL1/TL2, PDE, V15, AM, XV15, 400, 625, 750, 1200E cartridges. Replacement styli (stylus, needle) including Pioneer PN30, PN50, PN110, PN110 II, PN135, PN150, PN200, PN210, PN220, PN230, PN240, PN250T, PN290T, PN295T, PN305T, PN330, PN400, PN550, PN600, PN800, PN1000 Mk II for cartridges as fitted to most Pioneer turntables and systems. Replacement styli (stylus, needle) for cartridges as fitted to Prolectrix Nostalgia, GRSB, GS, USB series record players. Replacement styli (stylus, needle) - Ronnete BF40, SC107, SC109. Replacement Rotel styli (stylus, needle) including 2RC1, 2RC3, 2RC4, 2RC5, ATN12XE, ATN51, ATN71, ATN110E, ATN3600L, RN3, RN4, RN5 for cartridges as fitted to most Rotel record players, turntables and systems. Replacement styli (stylus, needle) including Sansui SN10, SN24, SN25, SN26, SN27, SN28, SN31, SN33, SN34, SN37, SN41, SN42, SN45, SN50, SN80, SN303, SN505, SN707, SNP313, SNP515, ST3200 for cartridges as fitted to most Sansui turntables and systems. Replacement styli (stylus, needle) - Fisher Sanyo STG3, ST05, STG5,ST6D, ST07, STG8, STW8J, ST09, STG9, ST10J, STG10, STG11, STG12, STG13, ST15, STW17J, ST20GD, ST25D, ST26D, ST28D, ST29D, ST35D, ST36D, ST37D, ST38D, STW40J, ST41D, ST44J, ST50D, ST55D, ST66, ST67D, ST103SD, ST111, ST707J, STG2611 for cartridges as fitted to Fisher Sanyo record players, turntables and systems. Replacement Sharp styli (stylus, needle) including STY101, STY102, STY103, STY104, STY107, STY111, STY114, STY120, STY122, STY123, STY124, STY127, STY128, STY129, STY138, STY140, STY141, STY142, STY143, STY146, STY148, STY150, STY154, STY155, STY158, STY160, STY202, STY213, STY703, STY 717 for cartridges as fitted to most Sharp record players, turntables and systems. Replacement Styli (stylus, needle) for cartridges fitted to Sherwood CS1500D, CS3830, CS3850, CS8900RC, CTA3, CTA4, CTA5, CTA6, PD401B, PD502, PD503, PD602,PD603, PD701, PD702, PD702B, PD710, PD710B, PD724B, PD728B, PD903R, PD913R, PD7018, PF1170R, PM8550, PM9800, PS702, PS702B, PS1870, PS9700, System 5000, SS1004, SS1010, SS1018, SS1020, SS1021, SS1024, SS1028, SS1860, SS1890, SS1900R, SS2050, SS2075, SS2080, SS2090, SS2095, SS2125R, SS2225R, SS295, ST870, ST875, ST877, ST887R, ST891, ST910, TT1004, TT1860 turntables, systems and record players. Replacement Shure styli (stylus, needle) including N3D, N7D, N17CM, N44-3 (78rpm), N44-7, N44E, N55E, N70B, N75-3 (78rpm), N75-6, N75C, N75EC, N75ED T2, N75EJ T2, N78S (original), N91ED, N91G, N92E (inc. orginial), N95ED, N95EJ, N95G, N97HE, N97xE (original), N104E, N105ED, N110E, SS35C, VN35E, VN35HE, VN45HE for M3D, M7D, M17CM (jukebox), M44, M55, M70, M75, M78S, M91, M92, M95, M97, M104, M105, M110, SC35C, V15III, V15IV series cartridges as fitted to many older quality turntables. Replacement Sharp styli (stylus, needle) Sonotone 8T, V100 for Sonotone cartridges. Replacement styli (stylus, needle) suitable for Sontra 500 SN, 500EN, 500EXN & 500EX4N for 500S, 500EN, 500EXN & 500EX4N (4 channel) cartridges. Replacement Sony stylus (styli, needle) including CN234, ND14G, ND15G, ND25G, ND114P, ND116P, ND124P, ND126G, ND127P, ND128P, ND132G, ND133G, NG134G, ND136G, ND137G, ND138G, ND142G, ND143G, ND144G, NG145G, ND148G, ND150G, ND152P, ND155G, ND200G, ND250G, ND300G for cartridges as fitted to most Sony turntables and systems. Replacement Sharp styli (stylus, needle) Soundlab DLP1600, G056 for cartridges fitted to Soundlab players. Replacement Sharp styli (stylus, needle) - Stanton D5100E, D5107A, 681EE for Stanton 500E, 500A, 680EEE, 681EEE cartridges. Replacement styli (stylus, needle) including Technics/National Panasonic EPS22, EPS22CS, EPS23CS, EPS24CS, EPS25CS, EPS25STSD, EPS27CS, EPS27STSD, EPS30CS, EPS30ES, EPS33CS, EPS34CS, EPS34STSD, EPS41STSD, EPS43STSD, EPS51CS, EPS52STSD, EPS56STSD, EPS74STSD, EPS75STSD, EPS76STSD, EPS91SMAD, EPS202ED, EPS205ED, EPS270SD, EPS270ED, EPS290D, EPS550ES for cartridges as fitted to most Technics and National Panasonic turntables and systems. Replacement Sharp styli (stylus, needle) - Tenorel N2001D for Tenorel cartridges. Replacement styli (stylus, needle) for Teppaz Jupiter cartridges. Replacement Sharp styli (stylus, needle) - Tetrad T13, T30M, T41, T50H as fitted to Tetrad cartridges. Replacement styli (stylus, needle) for Tonar cartridges. Replacement styli (stylus, needle) including Toshiba stylus N3CD, N11C, N14DY, N15C, N21D, N30D, N34C, N35C, N36C, N37D, N51, N58C, N60DY, N62, N76D, N250, N293DY, N320D, N330D for Toshiba cartridge C03C, C14C, C21M, C30M, C34M, C35M, C36M, C27M, C51MII, C58M, C60M, C62M, C76M, C250M, C293M, C320M, C330M as fitted to Toshiba turntables, record players and systems. Replacement styli (stylus, needle) VEB KS23 for VEB cartridges. Replacement styli (stylus, needle) for Vestax VR1S, VR2S, VR3S, VR5E, VR7E, VR7S cartridges fitted to Vestax Handy Trax, Petit Pop, PDX2000 Mk II, PDX2300, PDX3000 Mk II record players. Replacement styli (stylus, needle) including Yamaha/Nippon Gakki N3000, N3500, N4500 II, N5000, N5500, N6500, N6600, N6700, N6800, N7000, N7030, N7050, N7080, N7700, N7800, N7900, N8000, N8010, N8100, N8200, N8300, N8400 for Yamaha/Nippon Gakki Cartridges CG3000, CG3500, CG4500, CG5000, CG5500, CG6500, CG6600, CG6700, CG6800, CG7000, CG7030, CG7050, CG7080, CG7700, CG7800, CG7900, CG8000, CG8010, CG8100, CG8200, CG8300, CG8400.